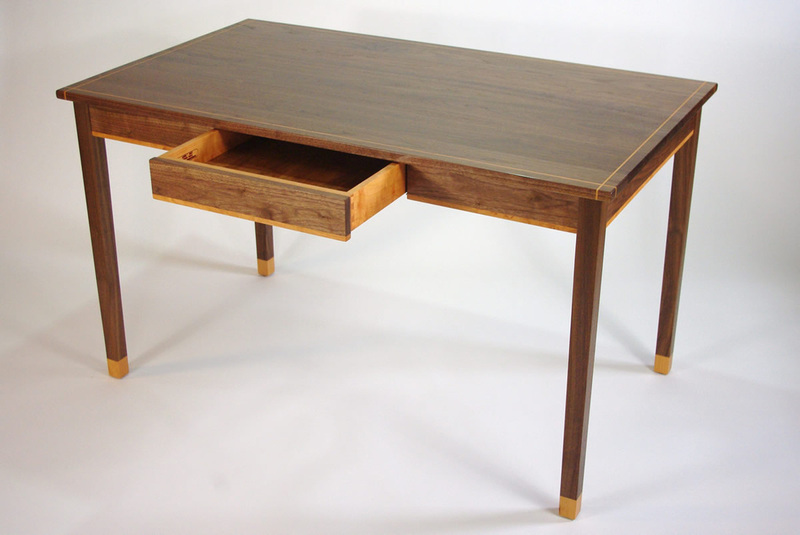 I designed and custom built this black walnut writing desk for my client as a pleasant place to work on his graduate studies. 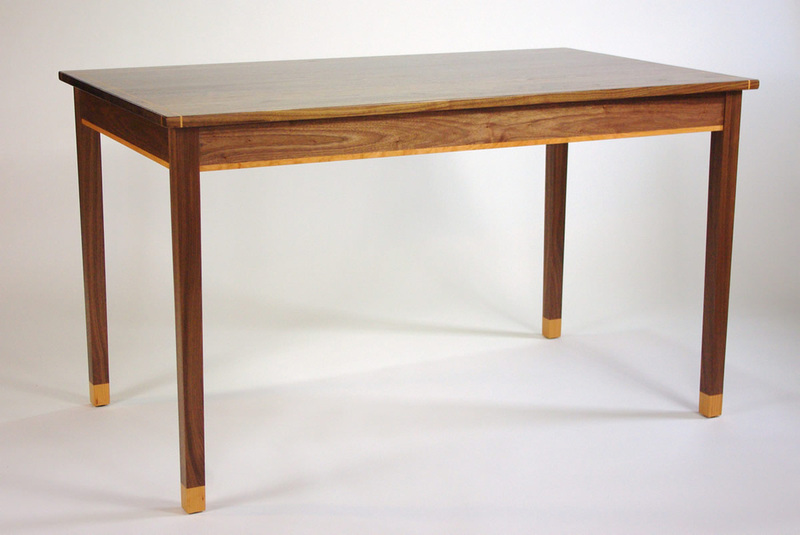 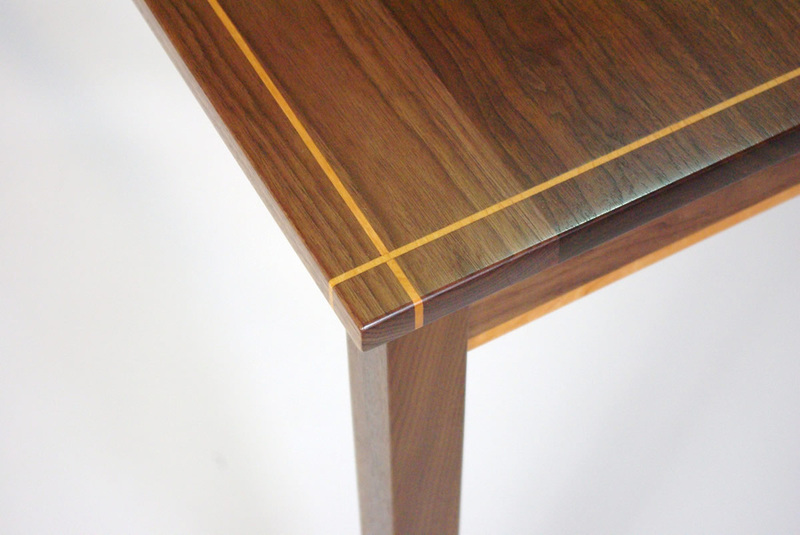 We started with a simple desk design with straight aprons and slightly tapered legs, and added the solid black cherry accents to give the piece a little more visual interest. The piece features a nicely figured solid black cherry dovetailed drawer with hidden under mount ball bearing drawer slides with a nice soft-close feature. The cherry color will deepen over time to add even more natural beauty to the very nice natural wood of the desk.